At the start of the 2006-07 season the club moved to The New Lawn. The Sustainability in Sport terrace is at the north end of the ground. In 2013 the EESI Stand at the opposite end of the ground was converted from seating to a standing terrace. The East Stand is the largest capacity stand at the ground and is all seated. It contains seven boxes, the 'Green Man' public house, gym, dance studio and conference and leisure facilities. The western side of the ground is an open terrace available to away fans. 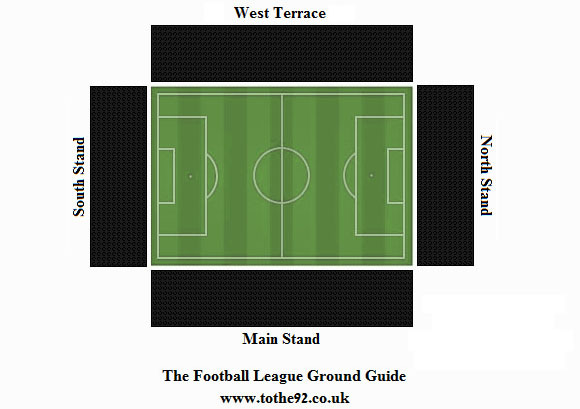 Up to 1,100 visiting supporters can be accommodated on the terrace on the West side of the stadium. The view from this stand is un restricted although the gradient is relatively shallow. Facilities are very good and there's a wide range of food and drink available at the refreshment outlets including the regular football fare starting at about £2.00. The Green Man is the clubs own Public House and serves many beverages including real ale. 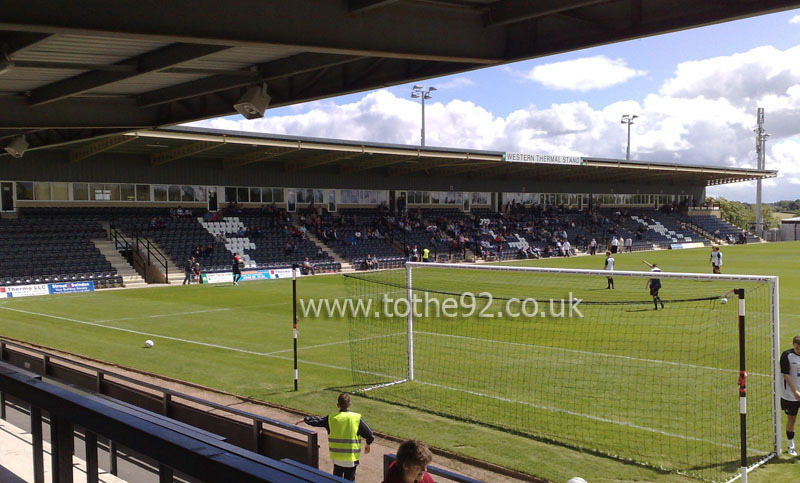 You may have heard about some of the changes recently made at Forest Green Rovers. Red meat is no longer sold at the ground but they've recently improved the quality of all food and drinks available. Parking is available at the stadium. If you're unfortunate enough to not get a space there is plenty of street parking close by. It's free to park at the ground at present and only a very short walk from your seat in the ground. If travelling by public transport the closest train station is Stroud. Walk 3mins from the station to the bus stop outside Merrywalks Shopping Centre and catch the 63 bus to Forest Green which takes approx. 30mins. Have you been to Forest Green's The New Lawn? To tell us about your experiences and to feature on the site, simply complete the fans review form below!